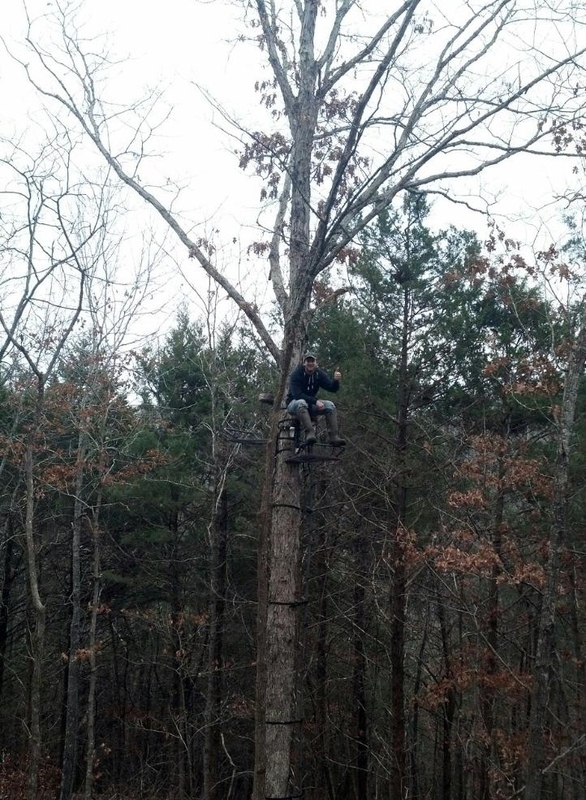 This tree stand has a great backdrop. Notice how little sunlight is directly behind the stand. It is crunch time at The Proving Grounds. Missouri’s 10 day alternative methods season begins this weekend and there is less than a month left of archery season. Are you feeling the pressure to fill your remaining tags? This time of the year can be an exciting time to hunt but can also be a dangerous time to assume that the stands you hunted earlier in the season are still their best. A couple of days ago, Adam and I hung two new stands. At both locations the same question came up, “What will our backdrop look like in this tree?” Because most of the leaves have fallen, it was very difficult to find a tree that we felt had enough cover to conceal us where we would not be skylined by deer. Are you hunting a stand that you have hunted all season? 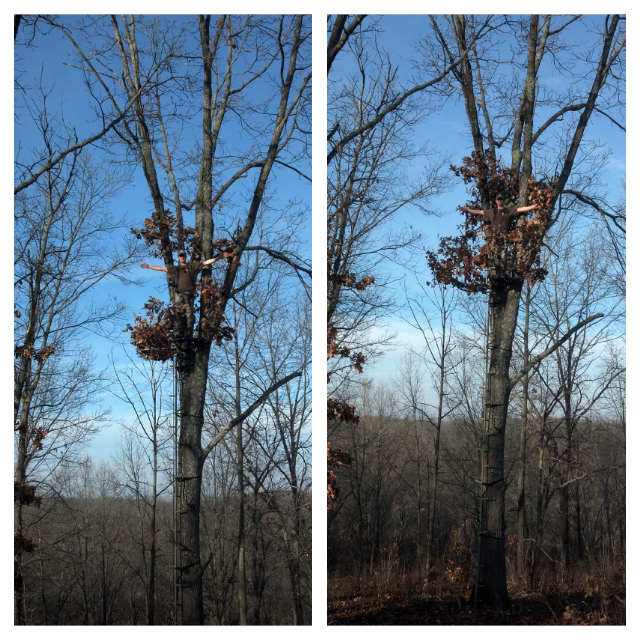 Now that the leaves have fallen, you could be exposed and easy for a deer to spot. This can be devastating to a hunt. If there is nothing behind you, between you and the sky, it can be very easy for deer to pick up on your shape or the slightest movement. Take the time to reevaluate your stands. You may need to attach branches behind your stand to help break up your figure or even move the stand. The little details can be the determining factor when you try to fill those remaining tags this season.